As the country reeled with the news last week that Solid Energy had gone into administration with a $300m debt, another event was happening in the Pacific that puts the debate in a context that it too seldom receives in New Zealand. 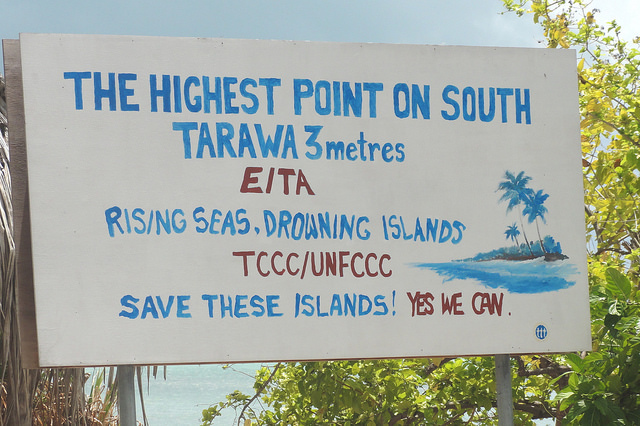 On Thursday, Kiribati Prime Minister Anote Tong wrote to world leaders calling for a moratorium on new coalmines. “Kiribati, as a nation faced with a very uncertain future, is calling for a global moratorium on new coal mines. lt would be one positive step towards our collective global action against climate change and it is my sincere hope that you and your people would add your positive support in this endeavour,” he wrote. UK Economist Sir Nicholas Stern agreed: “The use of coal is simply bad economics, unless one refuses to count as a cost the damages and deaths now and in the future from air pollution and climate change,” he told Reuters (Stern’s full statement here).